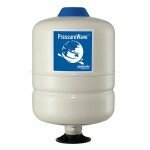 The Solus pump and controller bundle is commonly used for domestic water pressure boosting. Supplied complete with fully automatic fixed speed pump controller with 0.4l litre potable expansion vessel suitable for all whole house boosting water supply applications including negative head. 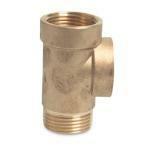 Ideal for boosting water pressure in small properties with up to 2 bathrooms. Can Provide 18 litres per min at 2 bar. Product was exactly as specified. Arrived on time even in the snow.